Nowadays there is a lot of hype around the concept of artificial intelligence. Companies are marketing and selling AI solutions that are not even exploiting modern AI techniques. In reality Artificial Intelligence is a top level concept which consists of intelligent solutions and learning systems. We can tell you where you can make use of modern AI and where not. In the future robots are capable of sensing its environment and surroundings, and execute given tasks autonomously. Example cases include self-driving vehicles and vacuuming robots. Image segmentation, pattern recognition or image categorization. Among other things, these techniques are used in machine vision applications. Aiming to create a model according to historical observations, which can be used to create predictions about the future. Example case - predicting customer purchasing behaviour on basis of previous purchases. Finding optimal solution among the set of possible solutions which fulfil given preconditions. Possible use case - solving scheduling problems and route search and planning. Boosting efficiency of manual production processes by helping manual labor or by automatizing complete work steps. Recorded user activity can be analysed with the help of the machine learning algorithms, and thereby providing individual user experience. Example use case - video streaming services can recommend new videos to the user according to play history. Don’t hesitate to be in contact if you have questions about artificial intelligence. 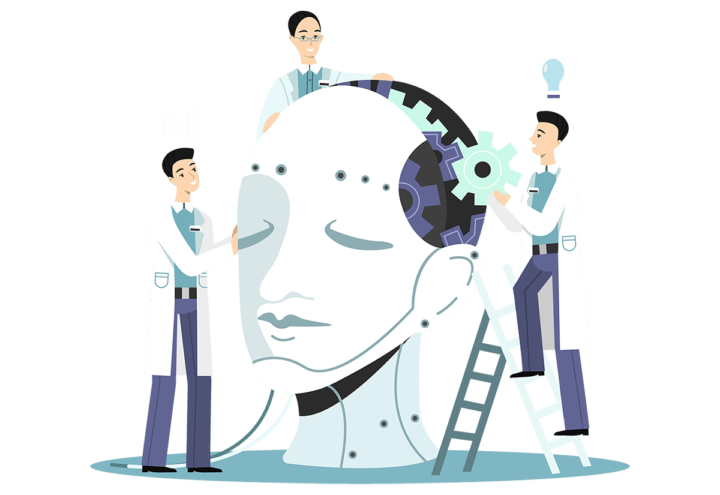 Together with our experts we can find out if artificial intelligence and learning systems could be used in your area of business.